Scientists have long tried to explain the origin of a mysterious, large and anomalously cold region of the sky. A pretty wild possibility is that the cold spot might be the evidence of a collision with a parallel universe. Now new research led by Durham University, submitted for publication in the Monthly Notices of the Royal Astronomical Society, suggests the supervoid theory doesn’t hold up. Intriguingly, that leaves open a pretty wild possibility – the cold spot might be the evidence of a collision with a parallel universe. But before you get too excited, let’s look at how likely that would actually be. However the cold spot is harder to work out. It is an area of the sky about five degrees across that is colder by one part in 18,000. This is readily expected for some areas covering about one degree – but not five. 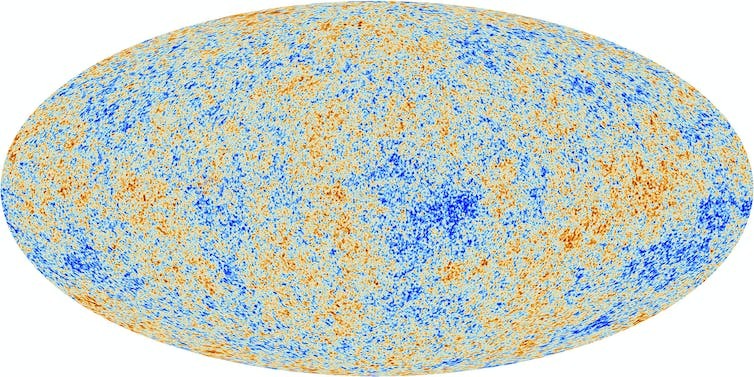 The CMB should look much smoother on such large scales. Can we test for parallel worlds? But the researchers concluded that there simply isn’t a large enough void of galaxies to explain the cold spot – there was nothing too special about the galaxy distribution in front of the cold spot compared to elsewhere. Quantum mechanics oddly states that any particle can exist in “superposition” – which means it can be in many different states simultaneously (such as locations). This sounds bizarre but it has been observed in laboratories. For example, electrons can travel through two slits at the same time – when we are not watching. But the minute we observe each slit to catch this behaviour, the particle chooses just one. 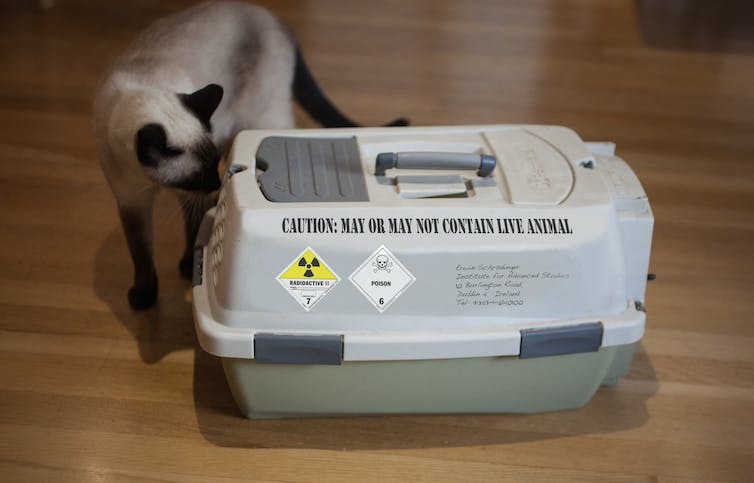 That is why, in the famous “Shroedinger’s cat” thought experiment, an animal can be alive and dead at the same time. There is no particular reason why we should just now be seeing the imprint of a colliding universe. 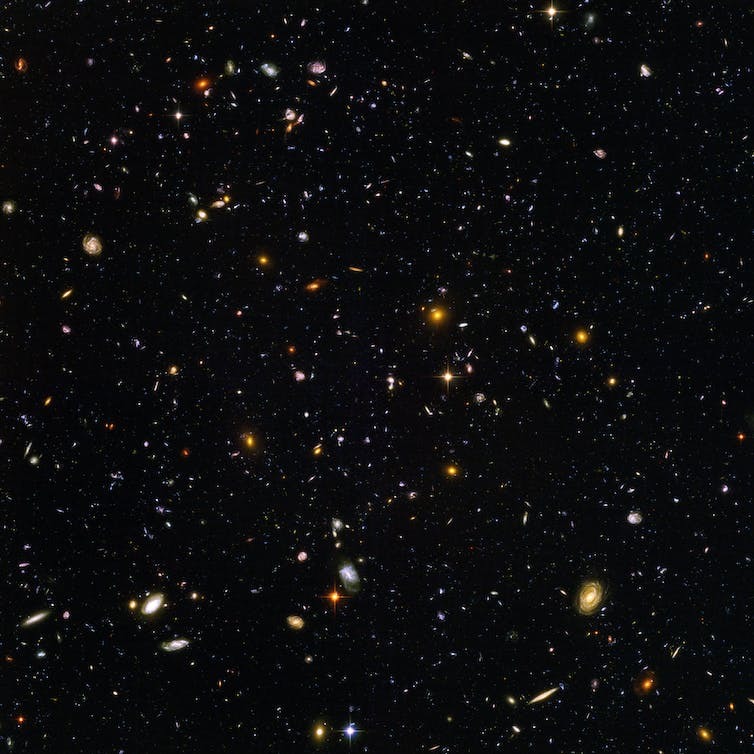 From what we know about how the universe formed so far, it seems likely that it is much larger than what we can observe. So even if there are parallel universes and we had collided with one of them – unlikely in itself – the chances that we’d be able to see it in the part of the universe that we happen to be able to observe on the sky are staggeringly small. The paper also notes that a cold region of this size could occur by chance within our standard model of cosmology – with a 1%-2% likelihood. While that does make it unlikely, too, it is based on a model that has been well tested so we cannot rule it out just yet. Another potential explanation is in the natural fluctuations in mass density which give rise to the CMB temperature fluctuations. We know these exist on all scales but they tend to get smaller toward large scales, which means they may not be able to create a cold region as big as the cold spot. But this may simply mean that we have to rethink how such fluctuations are created.